FOSE (formerly the Federal Office Systems Expo) is, every year, the biggest computer show in the Washington, DC region. 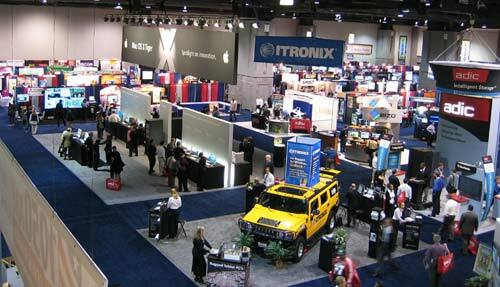 This April, like last year, the show was held in the immense Washington Convention Center. 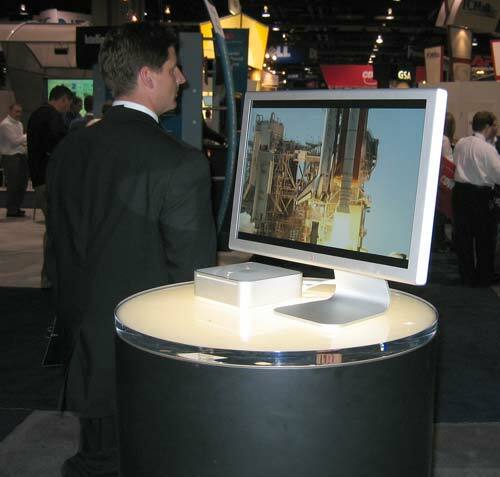 And this year, like last year, Apple had a large booth. Given the target audience – the federal government and companies supporting the federal government – the focus was on high-end technology and high-end computing. 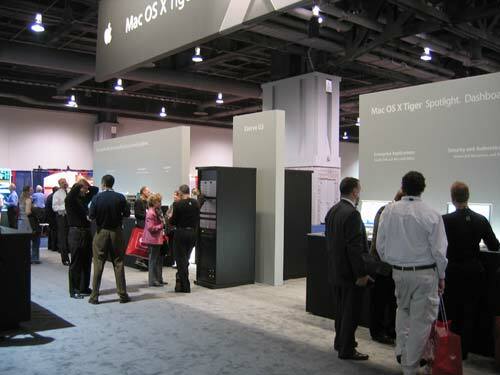 The booth, built around two walls with computer systems on each side of the walls, showcased Power Mac G5s, Xserves, Xserve RAID, Xsan, HD video, cluster computing, QuickTime 7, and Tiger. Every machine was running either Mac OS X 10.4 or 10.4 Server. The fact that Apple was willing to allow the public to play, hands-on, with the still unreleased operating system was a major vote of confidence for their software. Most of the rest of the show was a disappointment. Aside from a few innovations in cabling and other mundane stuff, there was little creative spark. Paranoia seemed to be the operative word, with dozens and dozens of vendors showing how they could maintain, control, confine, patch, and secure Windows. It was easy to get the impression that Windows was the greatest threat to humanity ever seen, and that all computer hardware and software technology should be devoted to suppressing this threat. In their own small, quiet way, Apple seemed to agree.